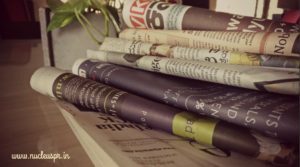 Is traditional media losing sheen ? We are living in the age where digital media has greatly influenced our lives. Thanks to broadband operators and telecom companies, internet penetration has now even reached remote corners of the country. Increasing internet penetration has also led to the growth of social media, usage of which is increasing globally, exponentially. Over the last few years we have seen how social media platforms have helped content producing platforms reach their desired audiences. These include entertainment portals, news portals, and other socially engaging platforms that are liked , shared and re-shared on almost everyone’s digital feeds. Needless to say, this has affected the news industry in a big way. With online portals gaining so much visibility in the last 3-5 years, the PR focus has moved to online mediums for their clients. The digital medium has not only taken over the entertainment share of Indian viewers but is also now dominating the Indian media in a big way. Earlier digital news was restricted to e-paper versions of the physical newspapers. But now, not only have the big players given their online counterparts equal importance, but smaller ones have also gained importance. But as PR professionals, we cannot do away with print media completely. Print or traditional media (as we call it), has not lost its importance for clients. Clients, will always expect visibility in the best of print publications even after they have got covered in the best of online platforms. Even though digital media has taken over traditional media to a great extent, traditional media still holds its share of importance among clients & PR professionals.